I love Etsy but you really have to search to find the good stuff. In the past I've found great vintage furniture, cool art prints, unique gifts and the list goes on! Below is a random assortment of my "likes." 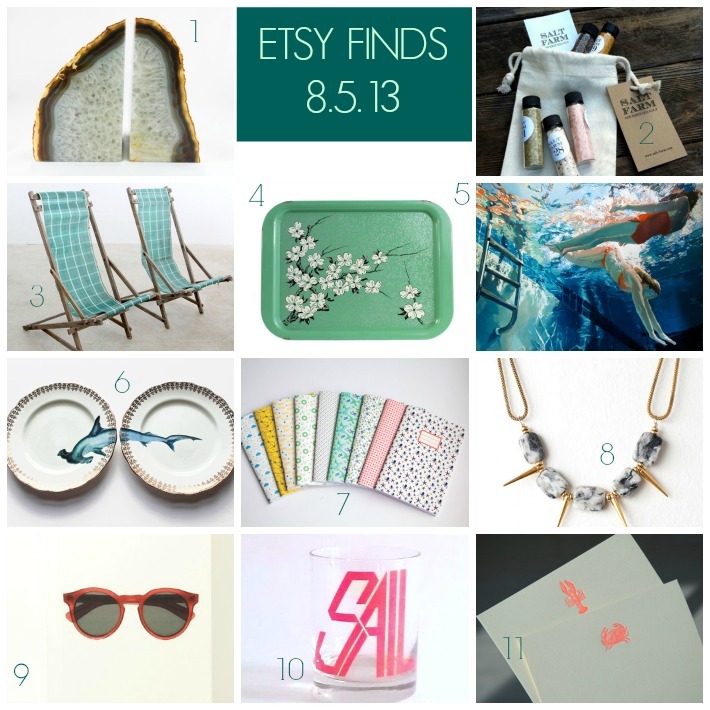 I've included agate book ends, cute personalized notebooks, vintage beach chairs and some cool knick knacks.